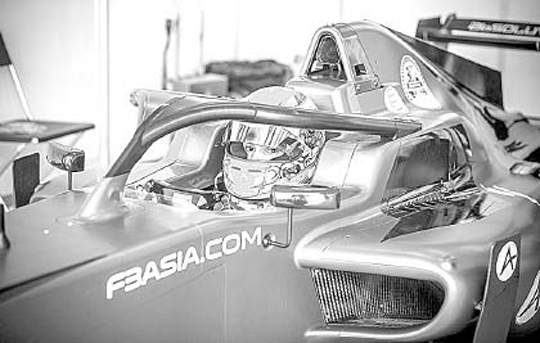 Shanghai—Teams from Asia and Europe have confirmed their participation in the new Asian Winter Series for F3 Regional Single- Seaters cars, where the winner of the series will earn 10 FIA Super Licence points. Round One kicks off on January 11, 2019 in Thailand. The season gets underway on January 11, at Thailand’s Buriram International Circuit, and concludes at Malaysia’s Sepang International Circuit on February 22, well before the start of the new seasons in Asia, Europe, and the USA. The top five finishers in the Asian Winter Series will earn Super Licence points on a scale of: 10 for the winner; seven for the runner-up; five for third; three for fourth place; with one for fifth. Entries are expected from the UK’s HitechGP outfit, which has just been appointed to run all the cars in the new W Series which will use the same cars as the Asian Winter Series, Absolute Racing, Super License, Pinnacle Motorsport, Japanese Formula 3 team B-Max Racing, M-Sport Asia, BlackArts Racing and Seven GP. Both the 4.5km Buriram International Circuit and the 5.5km Sepang International Circuit were designed by F1 track specialist Hermann Tilke. The Thai facility opened in 2014 and has hosted the Japanese Super GT Series, TCR International Series, World Superbikes and, most recently, a round of MotoGP. Opened in 1999, Sepang, which until this year hosted the Malaysian F1 Grand Prix, is one of the most well-established and respected facilities in Asia. Series winner will earn 10 FIA Super License points. Round 1 of the Asian Winter Series kicks off on January 11 in Thailand with the first three races, before moving to Malaysia for Rounds 2 and 3 on January 18, and February 22 respectively. Established in 2008, Top Speed has played an intrinsic role in the rapid development of motorsport across Asian over the last decade. Providing a wide spectrum of services – from race organization and technical and logistical support to event and sponsorship management – Top Speed has played an integral role in series such as the Ferrari Challenge Asia Pacific, Lamborghini Super Trofeo Asia, Audi R8 LMS Cup, Asian Le Mans Series, Formula Masters Series, and Scirocco Cup. Headquartered in Shanghai, Top Speed also has offices in Zhuhai, Hong Kong, and Malaysia.